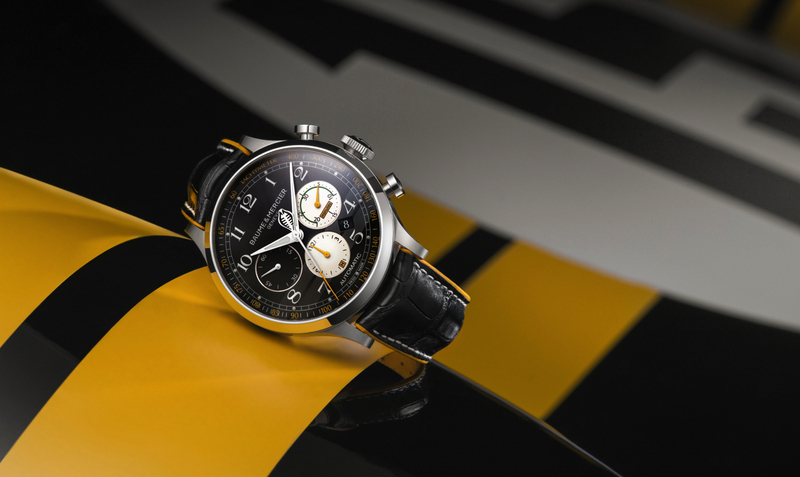 As a follow up to the Capeland Shelby Cobra timepiece that was introduced last year, Baume & Mercier launched two new variations at SIHH this past January. 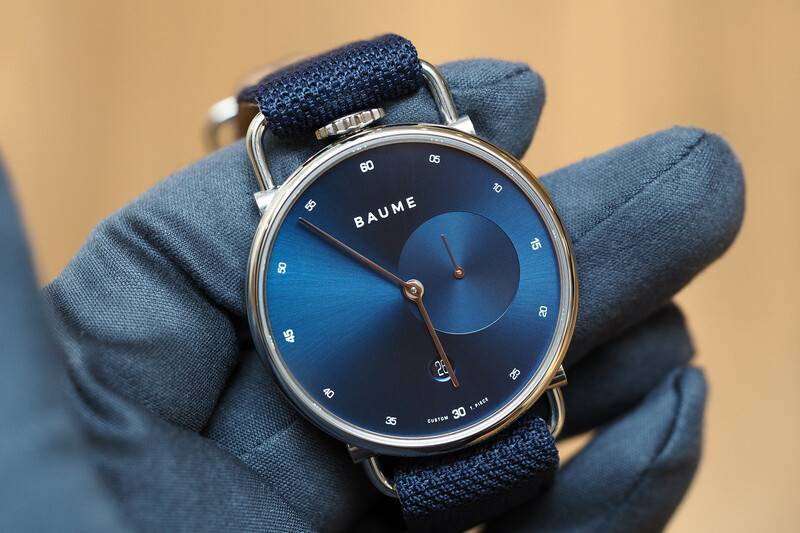 Visible through a sapphire caseback is a the Valjoux 7753 caliber with circular-grained bridges and mainplate and snailed black PVD oscillating weight with “Côtes de Genève” decoration. 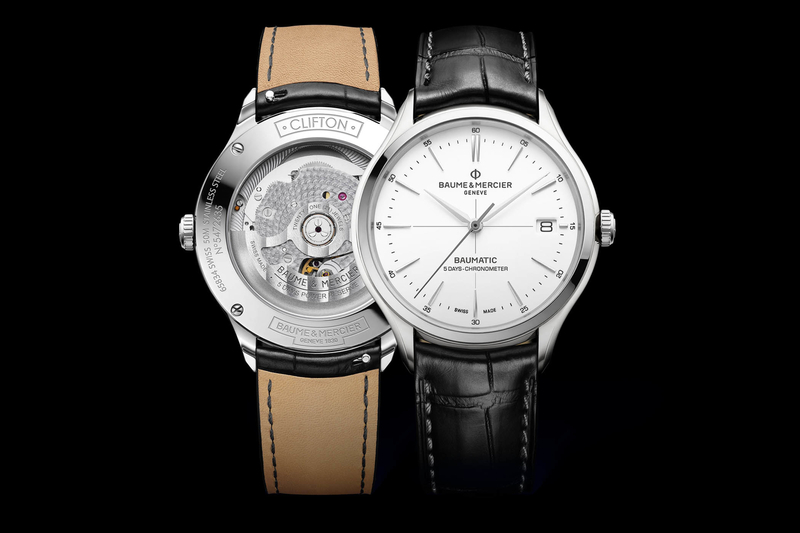 The 25 jewel automatic movement oscillates at 4Hz and has a 48-hour power reserve. 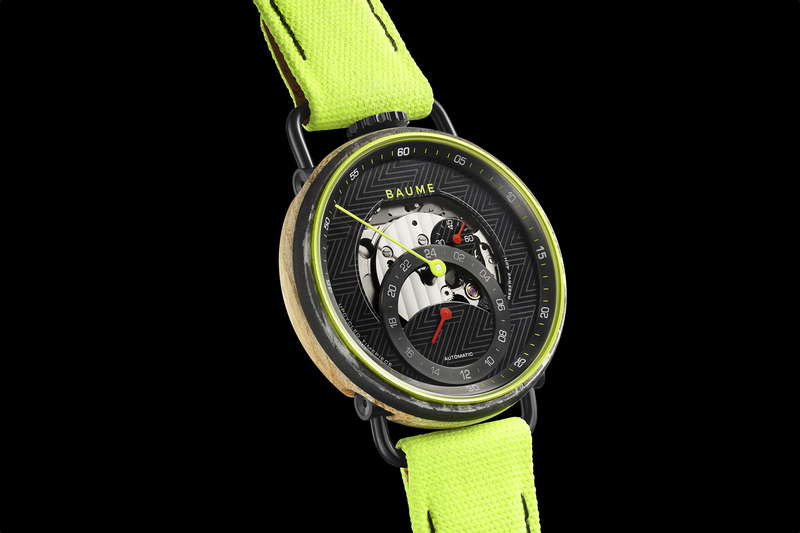 A sunburst satin-finish black dial with two horizontal stripes Arabic numerals is punctuated by rhodium-plated and yellow hands with luminous material that has a green emission.